Rapunzel meets Toon Link. Hehe Toon Link has a crush on Rapunzel! Rapunzel thinks he's adorable :) And he is!. Wallpaper and background images in the डिज़्नी क्रॉसोवर club tagged: rapunzel tangled non disney toon link link the legend of zelda vioshade. 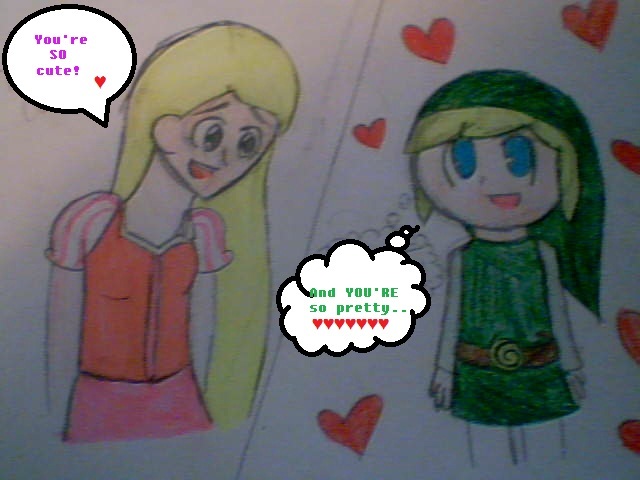 Hehe Toon Link has a crush on Rapunzel! Rapunzel thinks he's adorable :) And he is! This डिज़्नी क्रॉसोवर fan art might contain मोबाइल फोनों के लिए, हास्य पुस्तक, मंगा, कार्टून, एनीमे, कॉमिक बुक, and manga.